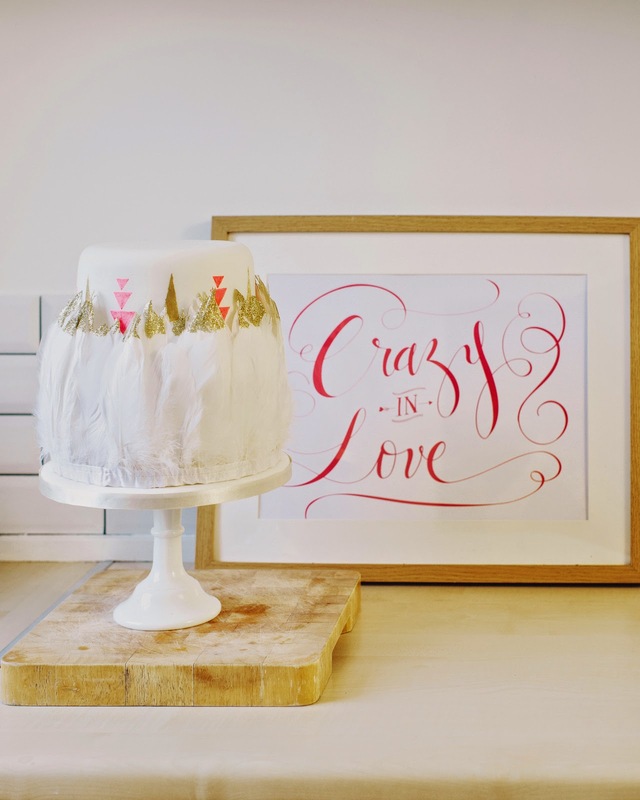 A Most Curious Wedding Fair Blog: Most Curious London loves...Little Bear Cakery! We love the raw directional look that wedding cakes and favours have taken in the last few years, with designers scrapping the traditional notion of pretty and going a little bit wild and getting back to nature. Leading this field and fast becoming East London's alternative cake decorator is Clare Margary of Little Bear Cakery. 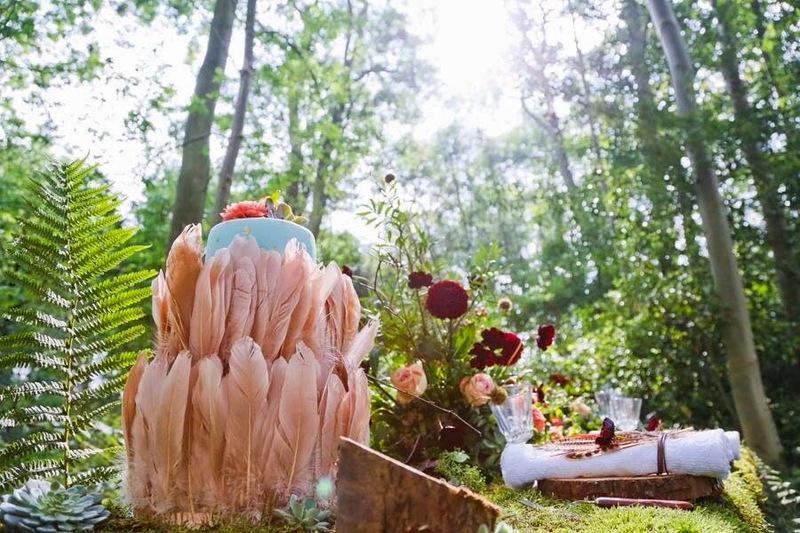 Clare is the creator of the most curious and beautiful bespoke wedding cakes, dessert tables and quirky favours. A chef trained in Professional Cookery and Patisserie & Confectionary, Clare has worked in many areas of the catering industry, from hotels and restaurants to corporate fine-dining. In 2014 Clare was selected from thousands of applicants to make the final shortlist of Triumph's "Women in Making" competition. The competition was aimed at a celebration of female creativity and enterprise with a judging panel of elite designers and female entrepreneurs. 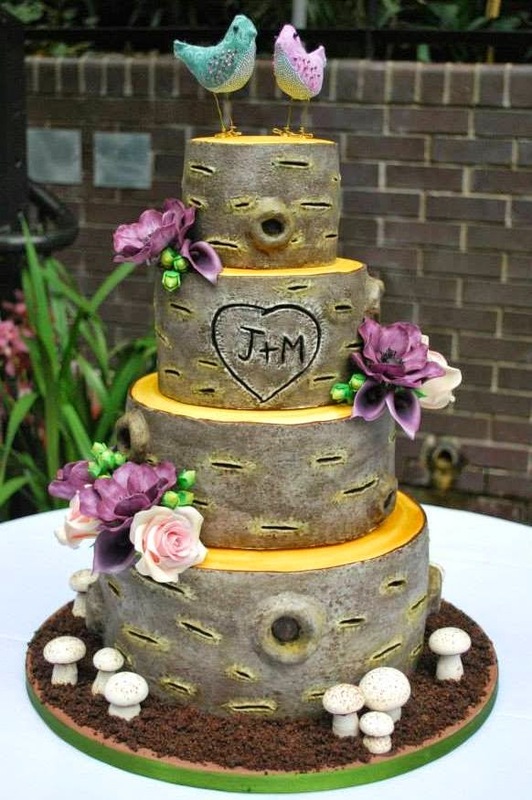 All Little Bear Cakery's wedding cakes are designed on a bespoke basis taking into account the venue, colour scheme, flowers, dress - basically anything and everything you want to ensure that your cake is completely unique to you and your special day. So you can be as tradish or alternative as you like - with Clare to guide you on the hottest trends and the most 'you' design. In addition Clare is also planning her own wedding this year and so understands the process that her couples go through. She knows how daunting it can be when you start to plan a wedding but says wedding fairs such as Most Curious give you that essential hands on interaction with suppliers, allowing you to easily ask any relevant questions face-to-face. She likes to arrange a personal consultation with each client to talk through every aspect of their wedding and having established good connections in the wedding industry Clare is also able to recommend other suppliers or avenues to explore. New for 2015, Little Bear Cakery are delighted to be teaming up with the very talented Westwood Design to offer fully styled dessert tables with a difference. They wanted to steer away from the stereotypical 'pretty' vintage styling that has been used tirelessly in recent years and offer an alternative approach. Incorporating influences from still life painting, nature and a bygone industrial age, they will provide an edible installation to add the WOW-factor to your wedding or event. Check out the wonderful styled shoot they did which was featured on Love My Dress, we love how moody and atmospheric it is. And what is the Most Curious thing about Little Bear Cakery? Aha! Clare is a lover of the 3 Fs...feather, flora and fauna. She incorporates these elements into her quirky and beautiful designs and loves experimenting with different materials and textures as well as drawing inspiration from fashion, wedding and lifestyle trends. Taste is extremely important to Clare and so only the finest responsibly sourced ingredients are used in Little Bear Cakery products. She uses free-range eggs, Callebaut Belgian chocolate, real vailla seed scraped fresh from the pod as well as luxury preserves and curds. With her pastry chef background, she loves experimenting with different flavour combinations and has compiled a menu of 15 choices for her wedding cakes - ranging from Classic Victoria to Perfumed Pistachio and Rose. Clare's attention to detail also earned her a gold star in the Great Taste Award in 2013. You can check out their mouth-watering menu here ...yuuuuuummmm! Make sure you grab your tickets to see more of Little Bear Cakery's alternative and quirky cake design at our London show in the Old Truman Brewery on Saturday 7 and Sunday 8 March. Crystal Cake couture is the most reputable wedding cake supplier in London. All of our cake items are 100% halal wedding cakes. Freshly baked and not frozen unlike many other wedding cake companies. We handcraft your cake to perfection to a luxury level.